Oh, yeah, horses wear shoes. 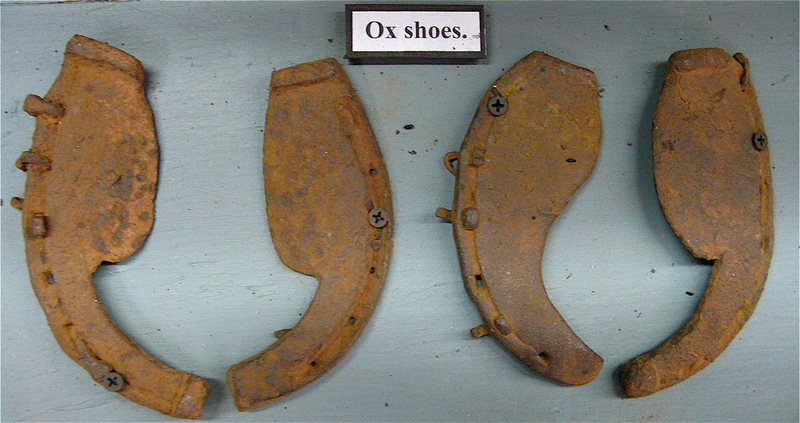 I dunno, do oxen wear shoes? Well, yea. Look at this museum exhibit. So, do you still say only people wear shoes? Um, well, um…no, I guess not. 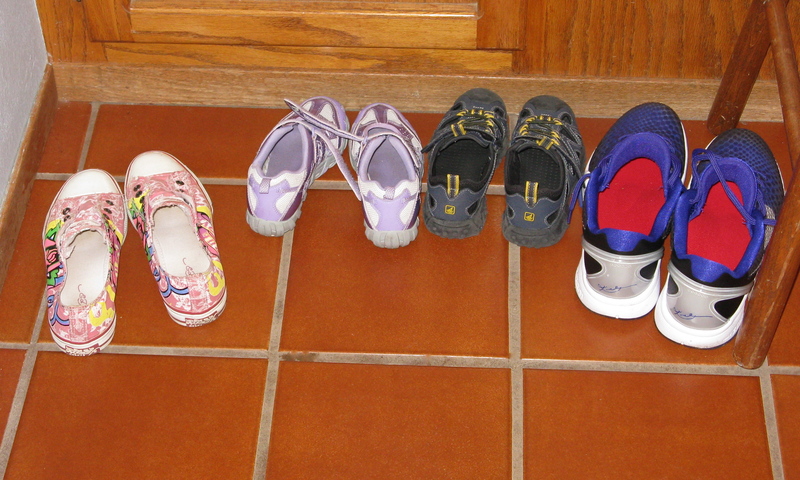 So…you canʼt say for sure who wears these four pairs of sneakers, can you?